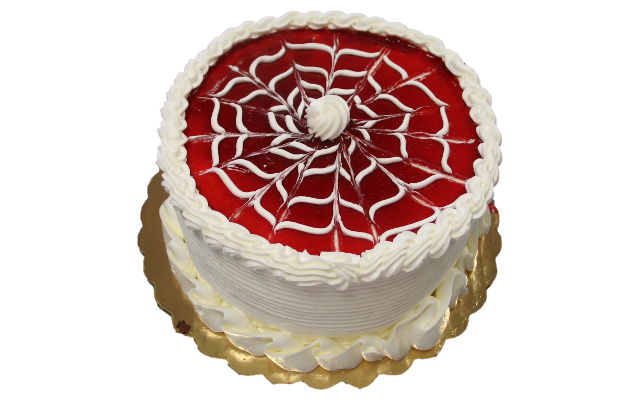 We offer a wide selection of 6" and 8" round cakes in our store every day. We can also write on most of them, so they're the perfect way to say happy birthday or congratulations! You can view our daily varieties below. For special or seasonal orders, please call in advance. 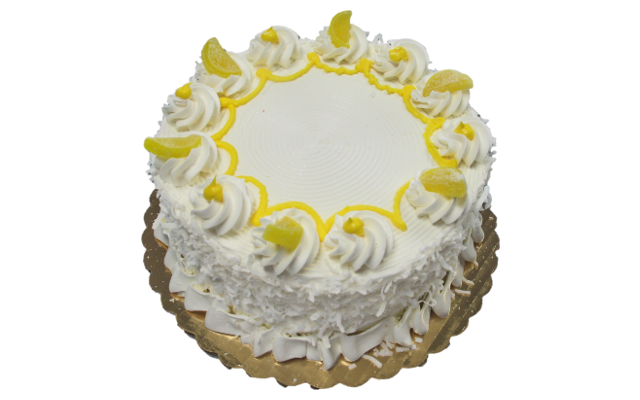 Vanilla cake filled and iced with lemon buttercream, and coconut shavings around the side. Topped with lemon candies. 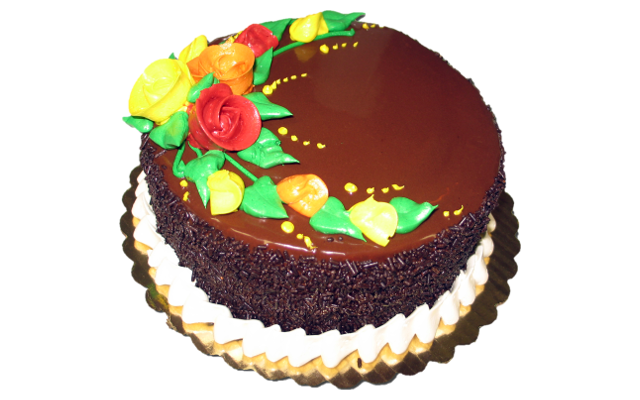 Chocolate cake with chocolate mousse filling. 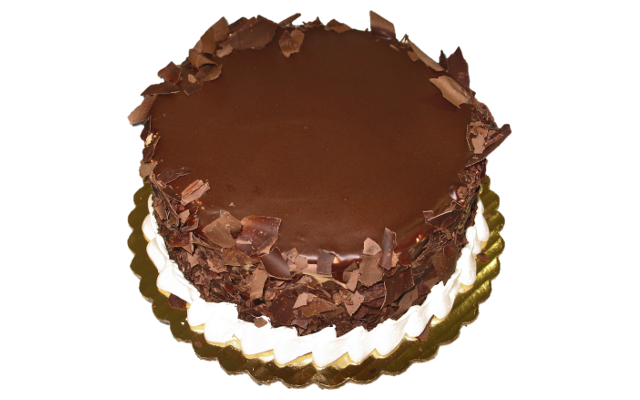 Covered in chocolate shavings around the side and topped with a ganache drizzle. Vanilla cake with custard filling, with cake crumbs around the side. 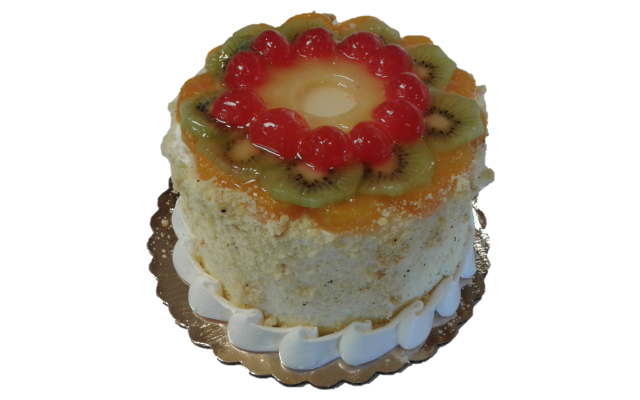 Topped with mixed fruit. Chocolate cake filled and iced with chocolate buttercream. Chocolate sprinkles around the base, topped with dark chocolate shavings, powdered sugar, and chocolate coins. Chocolate and vanilla cake with chocolate and vanilla buttercream filling. Iced with vanilla buttercream and a ganache drizzle. 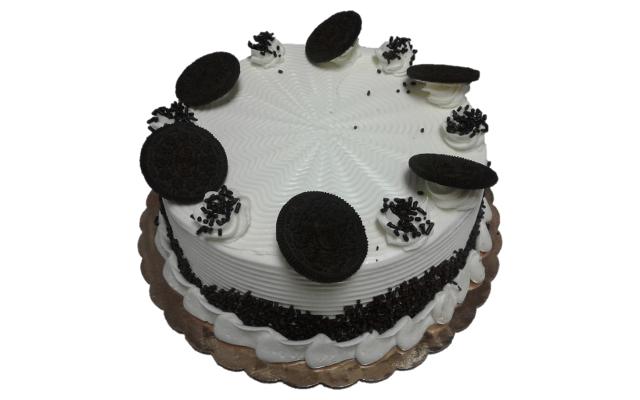 Vanilla cake filled and iced with cream cheese. 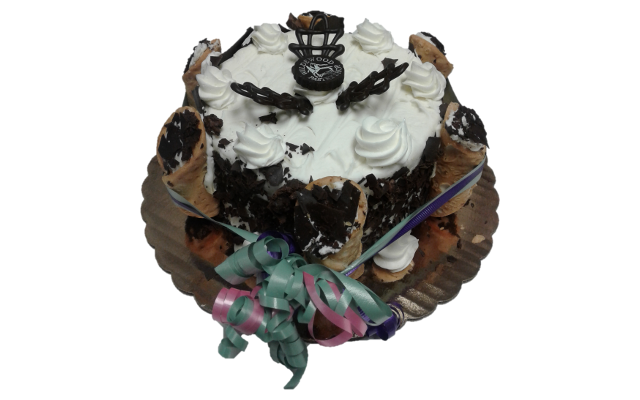 Lightly covered in chocolate shavings and decorated with mini cannoli and tied around with a ribbon. 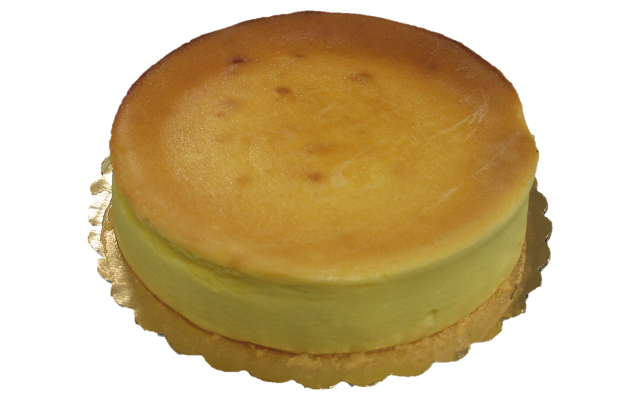 New York style cheesecake. Available plain or with a topping. Toppings available: Blueberry, cherry, raspberry, and strawberry preserve. Chocolate cake with crushed Oreo filling. Iced with vanilla buttercream with sprinkles around the base. Topped with sprinkles and Oreo cookies. 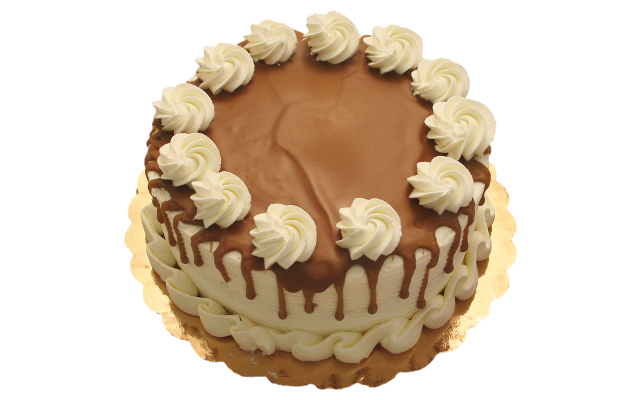 Vanilla cake filled and iced with chocolate buttercream. 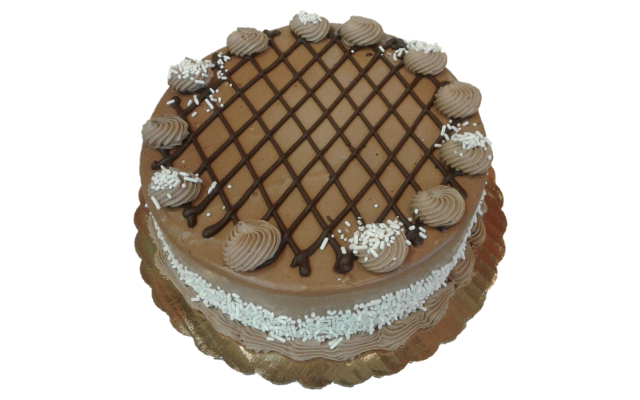 Covered in white sprinkles around the base, topped with a ganache lattice and accented with white sprinkles. 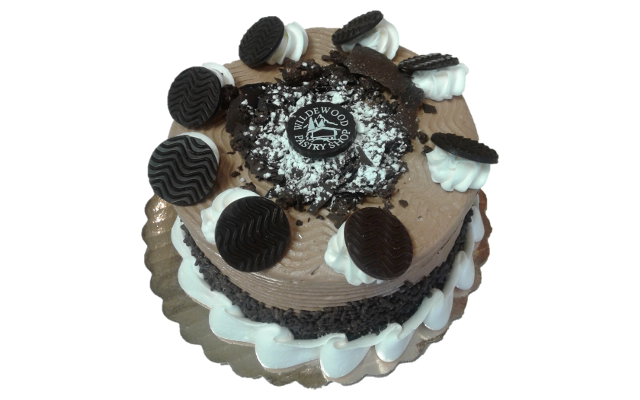 Two layers of vanilla and one layer of chocolate cake filled with mocha buttercream and ganache. Iced with ganache and chocolate sprinkles. Decorated with seasonal flowers. Vanilla cake filled and iced with vanilla buttercream. 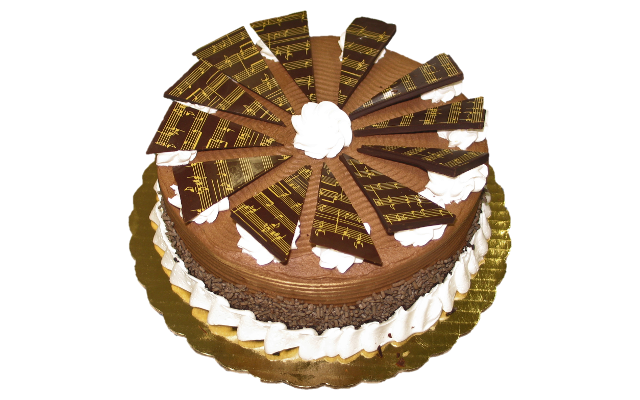 Topped with white chocolate shavings and chocolate powder, decorated with chocolate candies. Vanilla cake with strawberry mousse filling. Iced with vanilla buttercream and decorated with Vienna rolls around the side and fruit candies on top. Tied around with a ribbon. 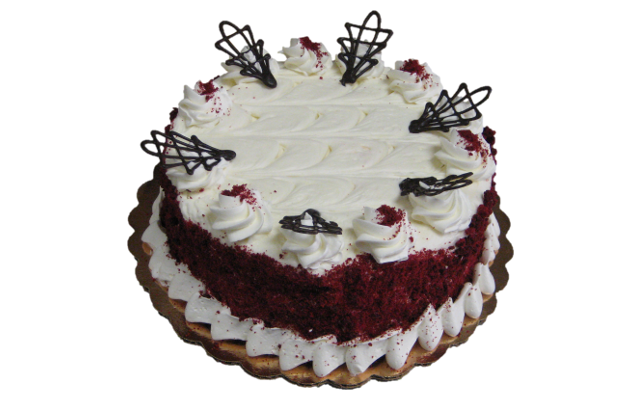 Red velvet cake filled and iced with cream cheese. 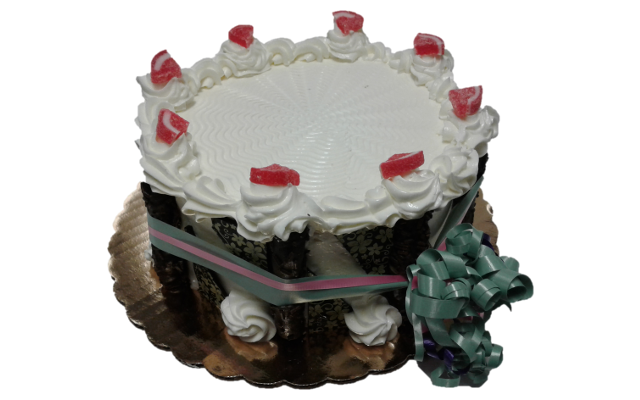 Covered in red velvet cake crumbs around the side, and decorated with chocolate filigrees. 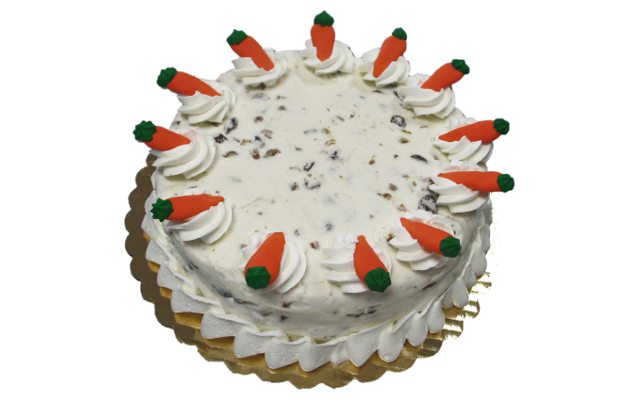 Carrot cake filled and iced with cream cheese (with nuts and raisins). Decorated with sugar carrot candies. Vanilla cake with caramel buttercream. Iced with vanilla buttercream and a caramel drizzle on top. 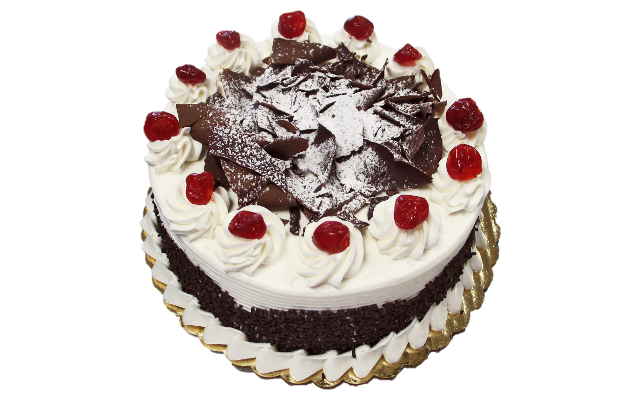 Chocolate cake with whipped cream and cherry preserve filling; iced with whipped cream and decorated with sprinkles, dark chocolate shavings, and cherries. 4 day notice. 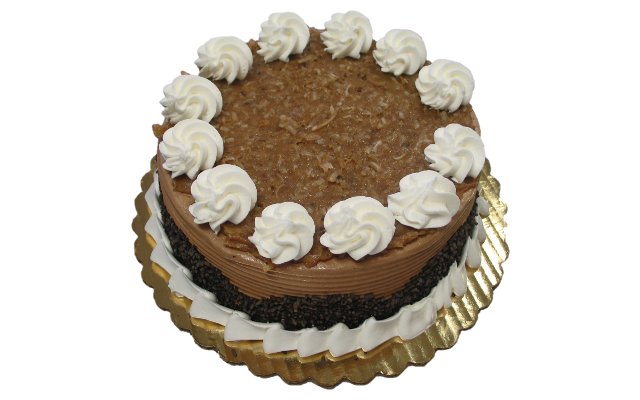 Chocolate cake filled and iced with German chocolate. Decorated around the base with sprinkles. Not really a pie! Vanilla cake with custard filling in a pie pan. Iced with ganache and topped with cake crumbs and filigrees. 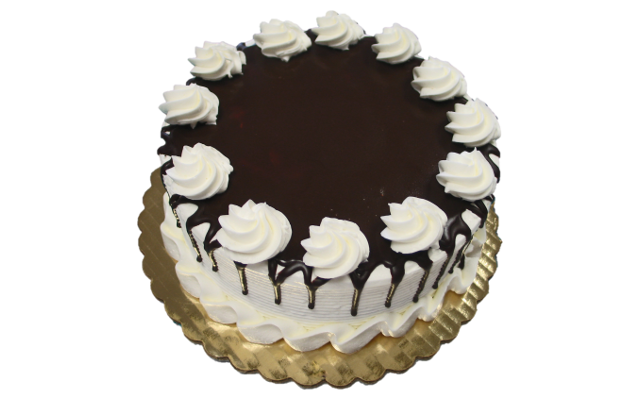 Chocolate cake with creamy ganache and raspberry jam filling. 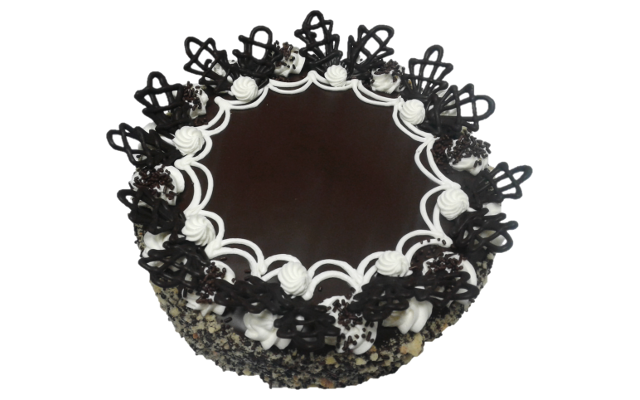 Iced with ganache and decorated with chocolates. Chocolate cake with raspberry buttercream filling; vanilla buttercream icing with raspberry jam on top. 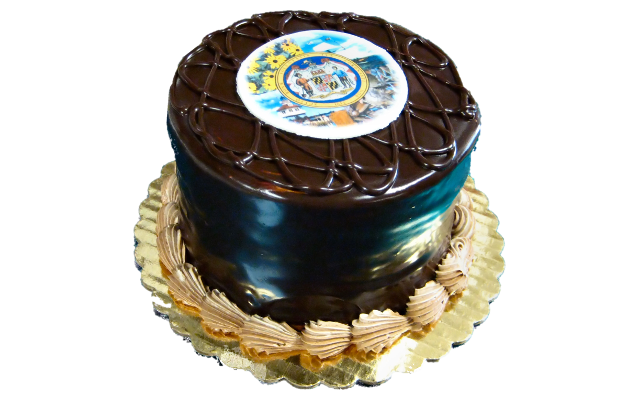 6 layers of vanilla cake, filled and iced with ganache fudge. Features a scanned image celebrating Maryland pride. 7 layers of vanilla cake with chocolate buttercream filling. 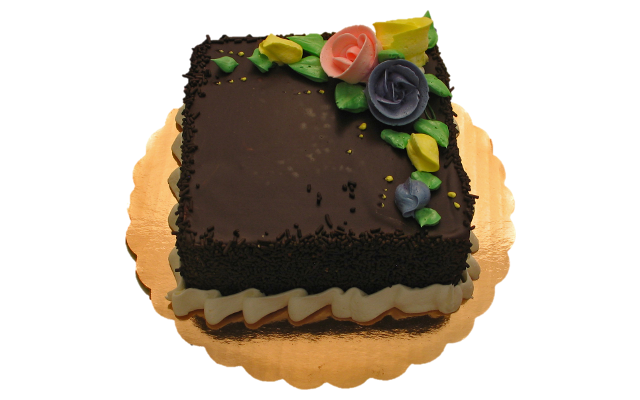 Ganache icing with chocolate sprinkles around the base and flowers on top. 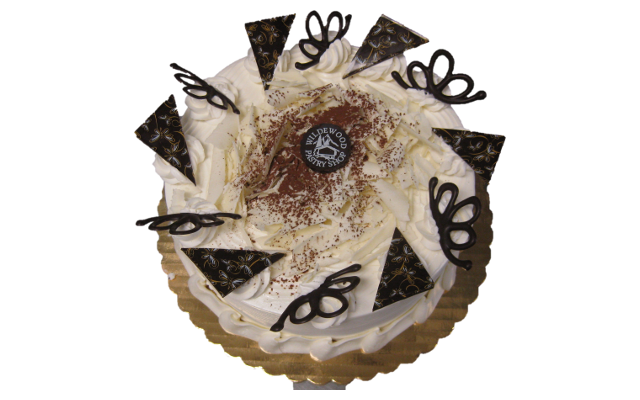 Mini cake slices are also available on special order! Call us for more information.